Red dates are the most commonly used dates for confinement and daily life. Confinement nanny will make chinese red dates tea daily which can help mothers to reduce water retention problem. Although confinement nanny may encourage mothers to replace water with red dates tea totally, drinking little water is still permissible but water must be warm. Studies have shown that red dates can increase oxygen content in the blood and nourish all the cells in the body. They can also help improve strength and brighten a wan complexion. Red date extract may have anti-obesity effects as well. However, do note that mothers may experience red dates side effects if consumed during early stages of pregnancy. Please consult TCM physician or practitioner for advice before consuming. Red date contains the polysaccharide Zizyphus-pectin A. It is a good source of many nutrients, including vitamin C. One hundred grams of dried and fresh red dates provide 22% and 115%, respectively, of the vitamin C one needs daily. Vitamin C is essential for a healthy reproductive system in both men and women. For women, vitamin C boosts fertility, improves hormone levels, protects immune system health, and helps in iron absorption. For men, vitamin C may increase sperm count, quality and motility, thereby improving fertility. Besides vitamin C, red date also contains phytochemicals that possess antioxidant properties. 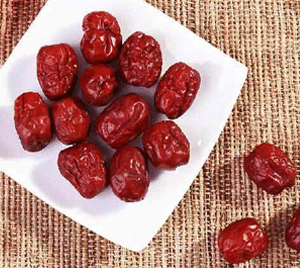 In addition, red date is used for poor appetite and digestive problems such as diarrhea. It has anti-allergy, antibacterial, antifungal, anti-inflammatory, and antioxidant effects, helping to boost immunity. Studies show that red date extract can inhibit cancer cells and cause cancer cell death. 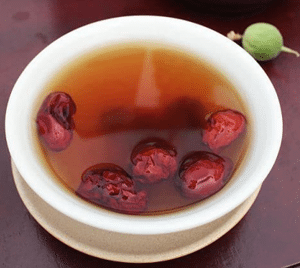 In TCM, red date is viewed as a tonic that boosts liver function. Both male and female reproductive systems rely mainly on normal liver function. Poor liver function disrupts the supply of nutrients to the cells of reproductive organs, harming reproductive function. Research findings confirm that the liver-protective effects of red dates are linked to their antioxidant activity.